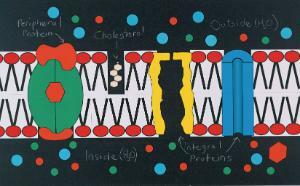 The current theory as to how phospholipids, cholesterol, and proteins are organized in the formation of the plasma membrane is called the fluid-mosaic model. 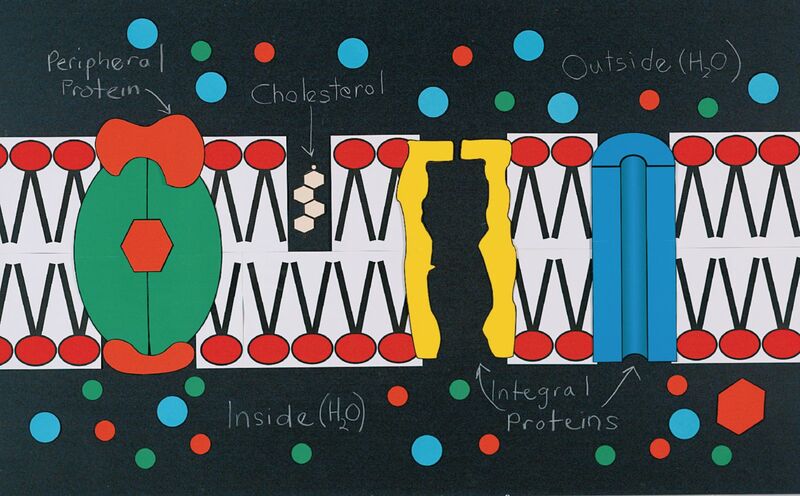 Teacher Ray Trybus developed this manipulative to show students the essential features of the biological membrane, passive transport mechanisms, the structure of cell vacuoles, and more. Includes instructions. Grades 10–12.